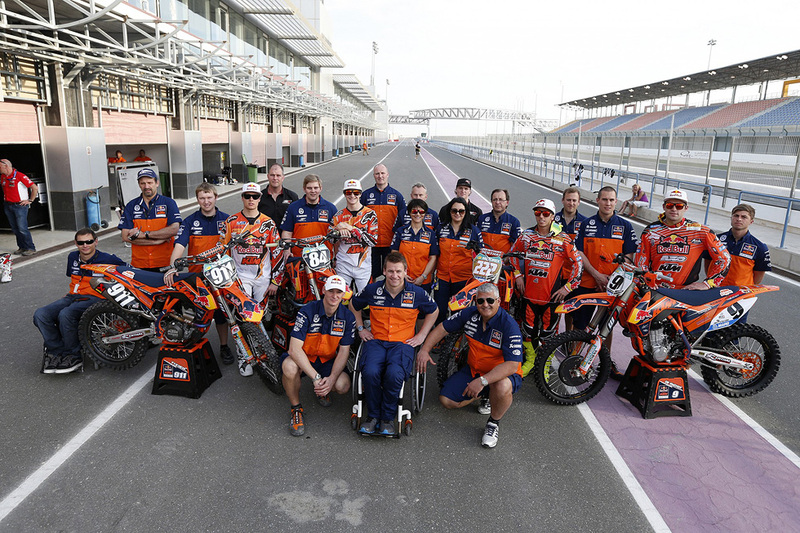 The Red Bull KTM Factory Racing Team made a strong start to the season in the first ever GP at the Losail Racing circuit in Doha, Qatar on Saturday night with Tony Cairoli and Ken De Dycker finishing 3-2 in their MX1 race, Carioli winning the Superfinal and Jeffrey Herlings the fastest man in the MX2 class with maximum points in each race. 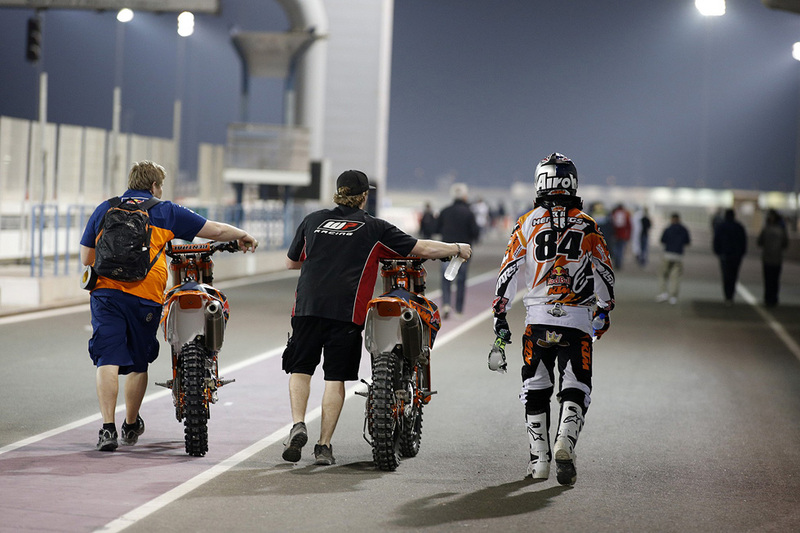 The GP of Qatar in the Gulf State was for the first time held under lights. The competition also launched a new three-race format (instead of four motos). MX2 and MX1 races resulted in the top 18 riders advancing to the Super Final. They were joined by the top 2 MX2 & MX1 from a Last Chance Final for the combined final. 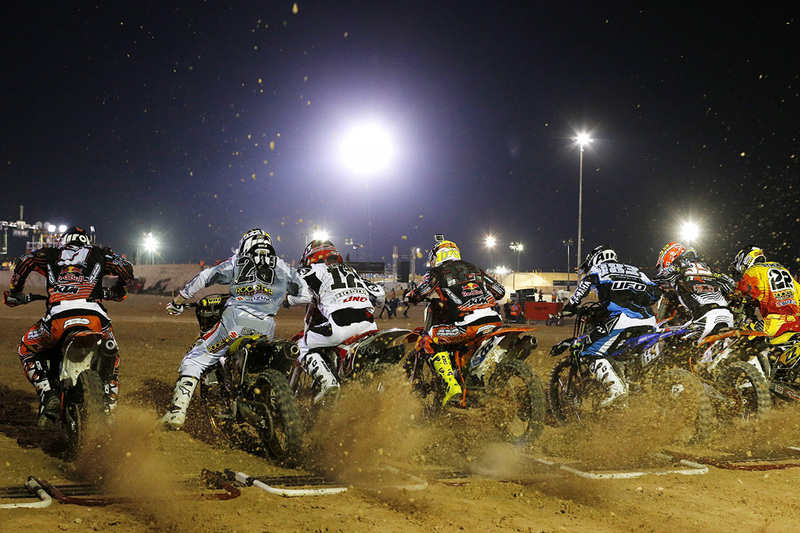 This format is being used at the four overseas races – Qatar, Thailand, Mexico and Brazil. MX2 riders were the first on the track and Herlings started his season picking up where he left off in 2012, winning his race by a stunning 25 seconds. In contrast to Friday’s qualifying race where he had to fight back from a crash to recover from the back of the field to eighth at the finish line, the Dutch teenager was well out of the start gates and was fourth going into the opening corner. He quickly moved into third in the opening lap and took the lead in lap three. From then on he controlled the lead and was never threatened. Herlings performance was even more impressive because he had a hard crash during training last Tuesday in Lommel and is nursing a badly bruised knee. 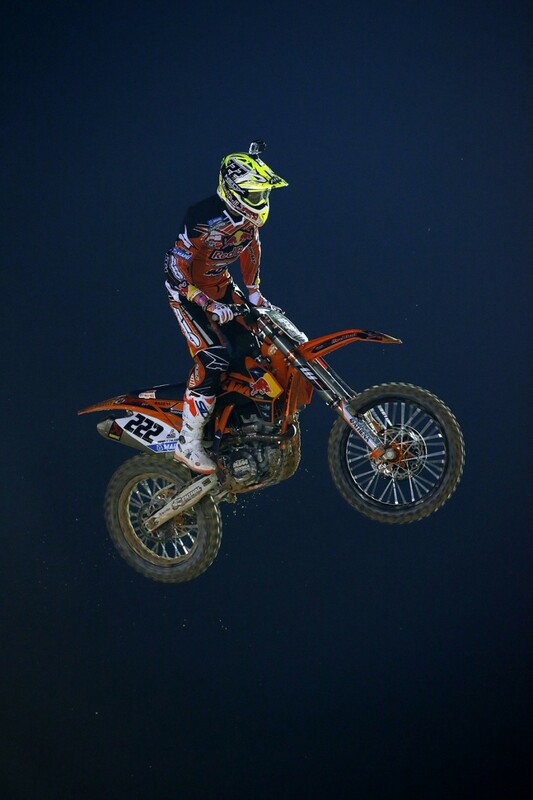 Fellow Dutchman Glenn Coldenhoff stole the holeshot on his KTM 250 SX-F and finished in an impressive second place while Red Bull KTM’s Jordi Tixier of the factory team finished a strong seventh. 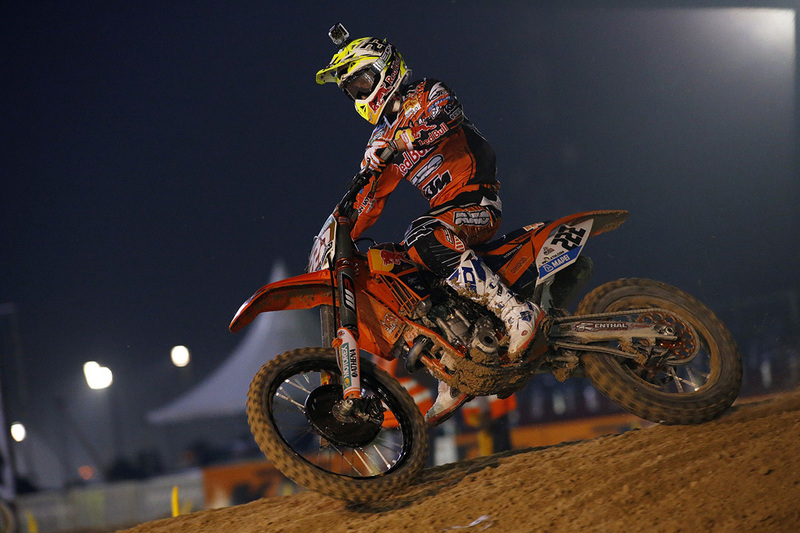 The MX1 race that followed saw De Dycker fourth at the start while Cairoli was buried deep in the pack back at thirteenth. While the Italian settled down to pick off riders, De Dycker concentrated his efforts on moving up to take control of the lead. He managed to stay in front until the closing laps when Clement Desalle slipped by and stole the glory. 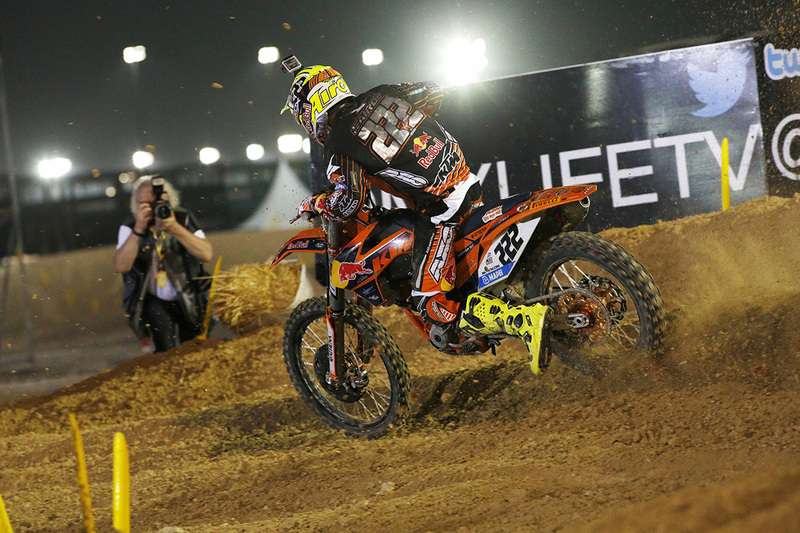 Meanwhile Cairoli, who has just signed with the factory team until 2016 had worked his way back fourth and slipped into third just before the finish. 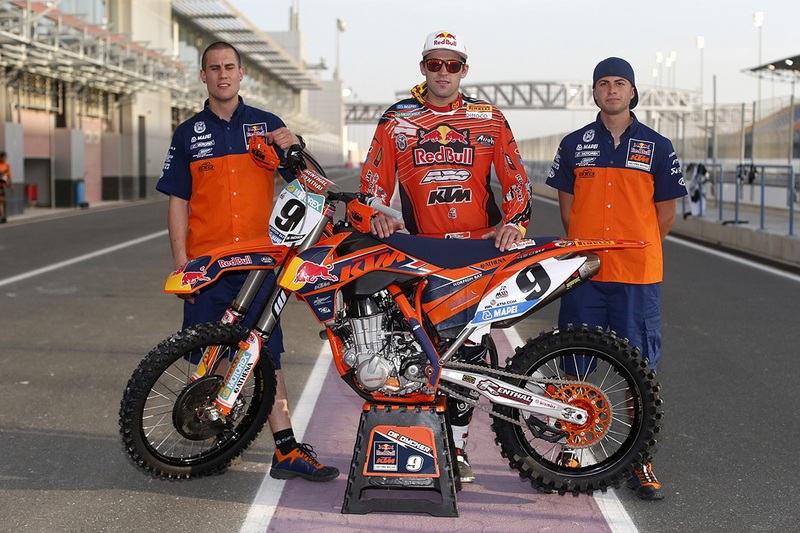 All four Red Bull KTM factory riders easily advanced to the Super Final. Cairoli went on to take a comfortable victory in the Superfinal ahead of Clement Desalle after slipping into the lead just ten minutes into the race. 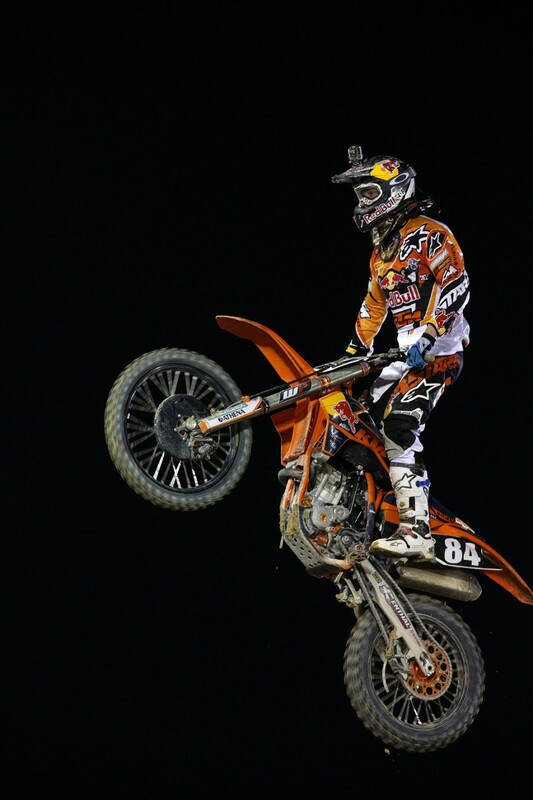 Herlings was overall seventh in the Super Final but was the first of the MX2 riders across the line for maximum points. The points shakeout in MX1 at the end of the night saw Cairoli at number two with 45 points, two points shy of Desalle while KTM factory teammate De Dycker finishes fourth overall with 36 points. In MX2 no rider was able to challenge Herlings who left with 50 points. 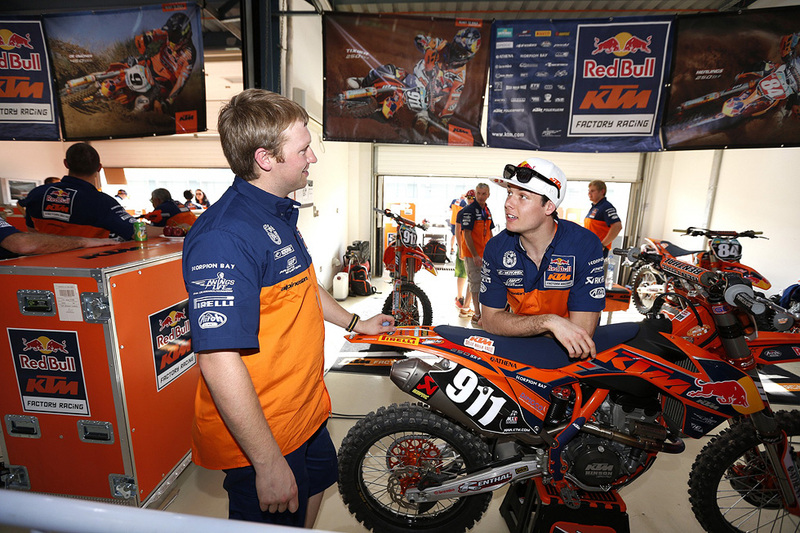 Second was Australian Dean Ferris while French KTM rider Romain Febvre was third with 38 points and Glenn Coldenhoff of Netherlands was fourth with 36. 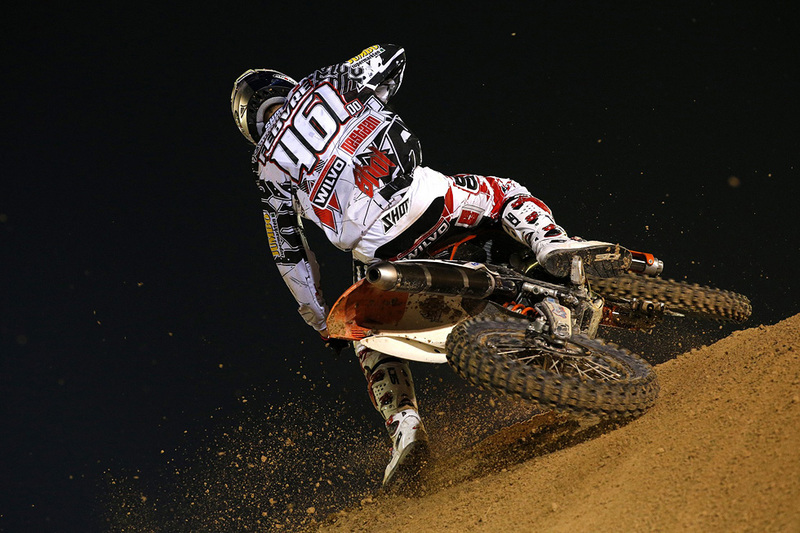 Herlings factory teammate Jordi Tixier of France wrapped up his night race in sixth overall in MX2 with 30 points. Riders faced plenty of challenges on this circuit that was technically difficult and featured a tough surface with plenty of loose stones breaking through the surface. The night race also saw additional moisture on the track as the desert night air cooled. 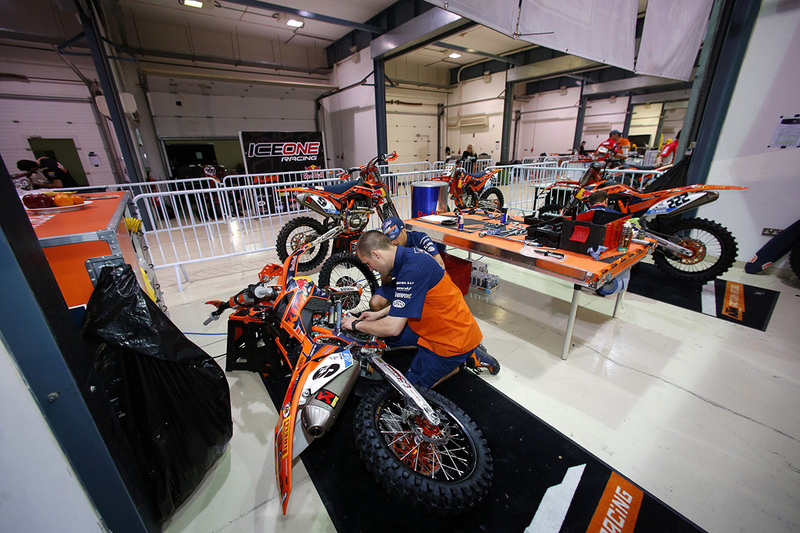 The MX GP circus now moves to Thailand where they will face another new circuit next weekend.